Climate and sea levels change over timescales from decades to millions of years, in response to a number of forcings of which anthropogenic climate change is one. What is a pathways approach to adaptation? Climate and sea levels are changing as a result of human activity and will continue to change into the future. 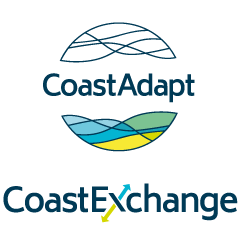 C-CADS is an iterative decision support process designed to support adaptation planning and decision-making about all climate change related risks on the Australian coast. It is consistent with coastal zone management and adaptation planning approaches used by Australian states and territories.